On the 5th August, the Lloyd's Register Foundation Heritage & Education Centre will be hosting its first U3A day at 71 Fenchurch Street. The visit will include a tour of the historic Collcutt building, a show and tell with our Archivist, a chance to view our brand new exhibition and talk to the Curator and a talk on the history of Lloyd's Register. 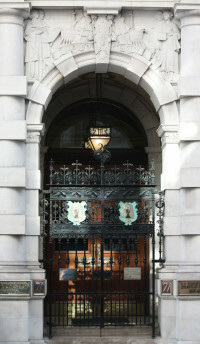 The visit will provide a unique opportunity to learn more about the work of Lloyd's Register as well as the chance to meet with and learn from other U3A groups. The maximum attendees for this event is 60 people so make sure you sign your group up as soon as possible as spaces are likely to fill up! To sign up the for this event please email Education & Outreach Coordinator charlotte.ward@lrfoundation.org.uk with the name of your group, the number of attendees from your group, a list of names and any access requirements. Nearest tube stations are Tower Hill, Tower Gateway and Aldgate. We are also a short walk from Aldgate East and Bank. Nearest overground and national rail stations are Fenchurch Street and London Liverpool Street. The building has full wheelchair access. 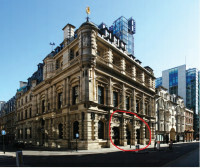 Entrance for the visit will be through the old entrance located on Fenchurch Street.